Former Border Force director general Tony Smith spent four decades in Theresa May’s old department, the Home Office. Here he tells Matt Foster that while Britain’s new prime minister is a demanding boss who does her homework, she’s also willing to stick up for her civil servants when push comes to shove. You can view this article at its souce here. 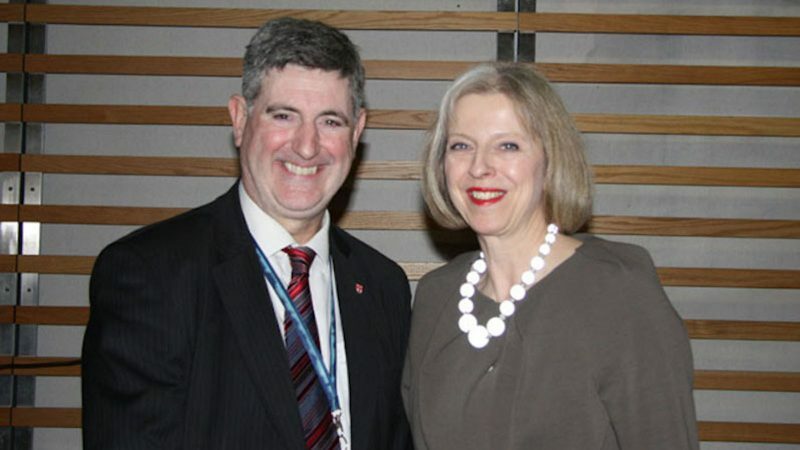 Even after four decades at the Home Office, Tony Smith wasn’t quite sure what to expect when, in 2013, he got a call passing on a message from his boss, Theresa May. The occasion? Smith was finally leaving the civil service after finishing his last role – a six-month stint as director general of the Border Force, leading the organisation as it went through a period of major change. It was not, Smith says, a job he’d been looking for. But the former official reveals that May herself played a big part in convincing him to put his retirement plans on ice. Smith had already served in some of the most senior immigration and enforcement roles at the Home Office during his time there, including acting as gold commander for the joint UK Border Agency and Border Force team that was set up to ensure the London 2012 Olympics went off without a hitch. That Olympics gig was supposed to be Smith’s “swansong”, he tells CSW. But May invited him into her office for a cup of tea, and asked whether he’d consider staying on to run the Border Force as it split from UKBA to come back under the direct control of ministers. “It wasn’t an easy decision to make,” Smith recalls. “Because when you’ve got to a point where you’ve served for forty years and you’ve been through something like the Olympic security programme – you kind of think, ‘Maybe now is the time for me to take my pension’. May didn’t always command such respect in the Home Office. Smith says officials weren’t quite sure what to make of the woman who had served as the Conservatives’ work and pensions spokesperson in opposition when she first arrived at Marsham Street in 2010. But the department was to become her ministerial home for six years, making her the second longest-serving home secretary in a century, surviving at the top of an organisation that had become notorious for putting an end to the careers of ambitious ministers. The former Border Force chief partly puts May’s long tenure down to the fact that she “did her homework” and was prepared to “demand a thorough briefing” on some of the trickier aspects of the portfolio – which includes not just immigration, but counter-terrorism, crime prevention, and oversight and funding of the police – when she took over. Smith also praises May for being “very open” to independent oversight of the Home Office’s work, with tough reports from the chief inspector of borders and immigration regularly highlighting “things that were going on in the business, warts and all”. May was also, Smith says, keen to ensure that her officials were given “clear roles and responsibilities”. That included agreeing clear operational mandates with her teams, outlining exactly what decisions could be taken by her civil servants, and which were reserved for the home secretary. Smith says the home secretary was “always very prepared” as a minister, and would not shy away from challenging her civil servants on the details when she felt it was necessary. But the former official says that May also highly valued civil servants who were “honest” – and was always willing to give them a fair hearing when things went wrong. “I think what she really, really liked was being given the full facts,” he recalls. “She was very keen to understand what wasn’t working, rather than to just hear ‘Oh yes minister, everything’s fine’. And that kind of worked for me. It was, to me, very professional that she was prepared to challenge me. He adds: “Of course in that business, sometimes things go wrong. Either we let someone in we shouldn’t have, or there’s a queue at the airport that’s longer than we would have liked it to be. The home secretary would also, Smith recalls, be willing to play hard-ball with her Cabinet colleagues on policy issues where the Home Office had a stake, defending the department when she believed her civil servants had the facts right. “Certainly, on a couple of issues we had during the Olympics – which I can’t go into the detail of in public – there were disputes with other departments in Whitehall about what decisions should be made, and we were hearing different views from different departments,” he says. But as well as May’s steely image, familiar to many who’ve watched her steady rise from the Tory backbenches to Number 10, Smith says the new prime minister has a “very warm, friendly, likeable side to her” that’s rarely talked about. “You’ll probably only hear that from people like me,” he says. That more human side was exemplified, Smith says, when May offered to take him for that one-on-one goodbye drink in the Commons at the end of his final Border Force stint. And the former official recalls how his boss even gave him a handwritten thank you note on his last day. “She didn’t have to do either of those two things – I mean, it’s not the sort of thing that a retiring civil servant could reasonably expect to happen,” he says. It’s a fact of life in the civil service that “not all ministers are inclined to be that supportive of us”, Smith notes.